Is there Shopping at Walt Disney World? Oh yes there is! Is one of your favorite vacation pass time shopping? Believe it or not, Walt Disney World has some top of the line places for you to get your fix in. Just about everywhere you turn there’s something wonderful to buy, so be sure to budget in some spending money when planning your WDW stay. All Walt Disney World Resort Hotels offer gift shops with the larger Resorts offering a broad variety of goods and fashions to fit the theme. Large-scale resorts like the Polynesian and Board Walk offer a broad variety of shops to browse through with fine art galleries, and on the spot fashions like the classic Hawaiian shirt from Tommy Bahama and quality handbags from Dooney & Bourke. 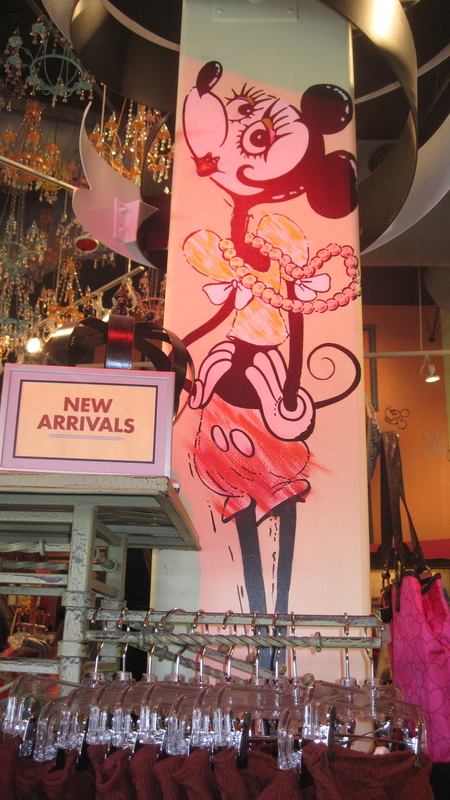 The Disney Parks also offer their own unique shopping adventures from your standard Mickey gear to housewares on the Magic Kingdom’s Main Street U.S.A. to fashion and fine art on Hollywood & Sunset Boulevards at Disney’s Hollywood Studios. While shopping around the World at Epcot you can acquire some unique goods that are found nowhere else in the United States. If you’re a foodie each pavilion offers delectable treats to take home as well as world class wines. Whether you’re buying for yourself or to take a gift home to a loved one Walt Disney World is sure to have what you’re looking for. 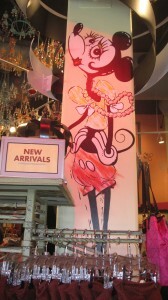 Downtown Disney is the ultimate stop for your Disney Shopping experience. This shopping, dining and entertainment district hold the largest Disney character store in the world as well as an array of shopping and dining experiences you can participate in pin trading, pick out some apparel or perhaps get a princess makeover at the unique Bibbidi Bobbidi Boutique! No matter what your shopping needs, the Walt Disney World Resort has you covered on a vacation that You’ll never forget. Where do you think you’ll do the most Disney Shopping? This entry was posted on Saturday, June 16th, 2012 at 6:09 pm	and is filed under Planning. You can follow any responses to this entry through the RSS 2.0 feed. You can leave a response, or trackback from your own site.